With our daily free transportation from the centre of Athens, you can enjoy a relaxing day at the beach, trying out one of the most fast growing watersports in the world. Just a few kilometers aways from the centre of Athens lies the paradise of all watersports. The long stretch of a sandy beach and the blue shallow waters, makes it an ideal place for a relaxing session of SUP. Have the easiest transportation, with 2 daily departures morning/evening from the city of Athens to the beach and back! SUP is a watersport for everyone to enjoy. It does not require previous knowledge, nor the best physical condition. 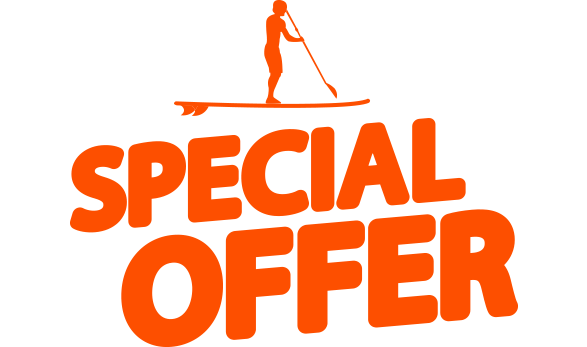 SupInAthens provides the best equipment at the lowest cost, for those who want to explore SUP by themselves by renting a full package of equipment for one or more days. Me and my husband went on our first paddle boarding excursion. Angelos was both an excellent tour guide and a great teacher. She taught us well and it didn't take long before we felt confident on the boards. We had an amazing experience with SUP in Athens tour. I did not imagine I would have learned so much and had so much fun all at the same time. Highly recommended! For Families and big groups (4 or more people) we offer a special package that gives you the opportunity to enjoy a pleasant tour to the beach with an affordable cost.